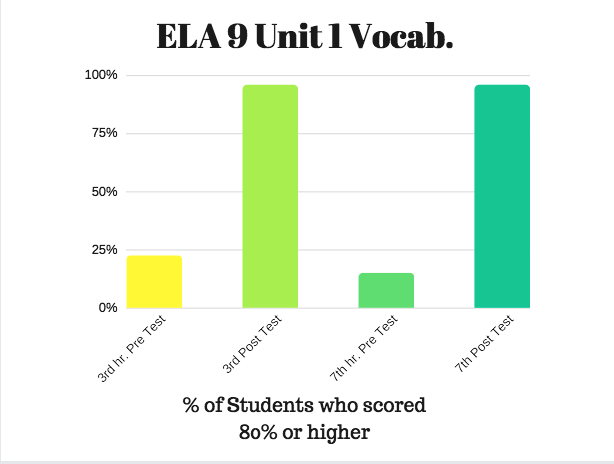 Goal 1: 80% of students will meet benchmark (80%) in ELA vocabulary knowledge. Through pretests, students identify new / unfamliar vocabulary words. 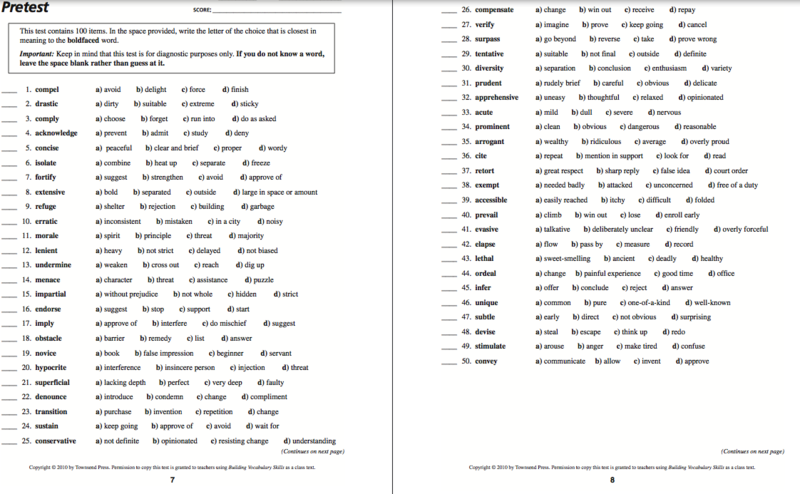 50 word units are broken down to lists of 10 words in order to analyze word parts (prefix, suffix, root) and word families (various forms of the word), and look at sample sentences. Students are encouraged to repeatedly use these terms during classroom discussions and sometimes write narratives that include the words. They demonstrate understanding through an assesment that asks them to identify part of speech, define the word in their own words, and write a complete sentence that contextually defines the word. 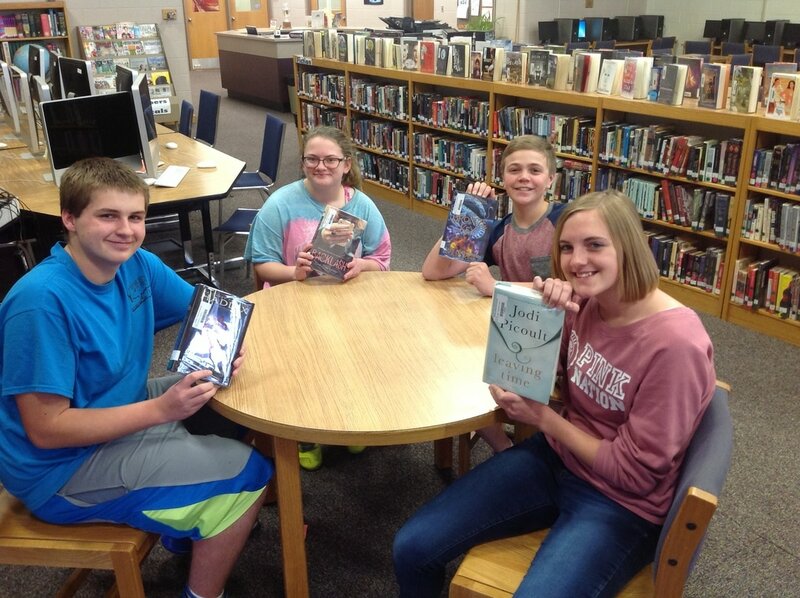 Review quizzes offer repeated usage of the words. Also, all words are on quizlet, which provides opportunity to study flashcards, play word games, and take practice quizzes. 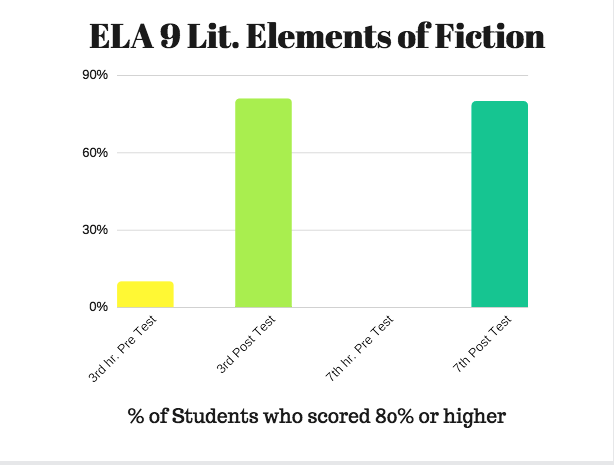 Goal 2: 80% of ELA 9 students will meet benchmark (80%) in knowledge and utilization of Literary Elements of Fiction. Through pretests, students identified new / unfamliar terms most commonly used during the study of literature. 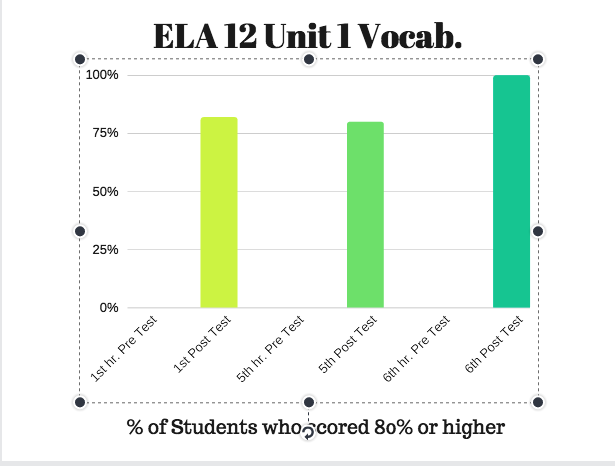 Through repeated classroom usage of these terms in class throughout the school year and by using Quizlet for flashcard studying and practice quizzes, students incorporated these terms into their existing vocabulary, as demonstrated on their post tests.